CF-Auto-Root is a toolkit developed by ‘Chainfire’, a recognized developer of XDA. This rooting method is one of the simplest ones to use, and it is designed to keep the firmware as close to stock as possible. The rooting method is the same for Nexus 4, Nexus 7 and Nexus 10, except you have to Download a different Auto-root file. !!! Rooting your device can void your warranty and also damage your phone. Make sure you know what you are doing before proceeding further with the installation. We cannot be held responsible for any damage brought to your device. !! Unlocked devices get fully wiped after this procedure. Our recommendation is to make a complete backup before rooting. 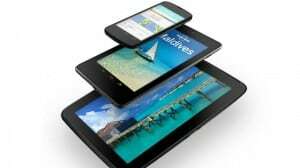 Download ZIP file for NEXUS 4, NEXUS 7 WiFi, Nexus 7 3G or NEXUS 10. This is it. Now you have your Nexus device rooted.